(You Make Me Feel Like) A Natural Woman Aretha Franklin Your browser does not support the audio tag. Ain't No Way Aretha Franklin Your browser does not support the audio tag. Angel Aretha Franklin Your browser does not support the audio tag. Another Night Aretha Franklin Your browser does not support the audio tag. Call Me Aretha Franklin Your browser does not support the audio tag. 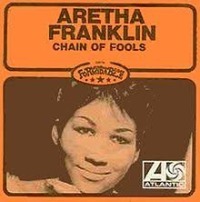 Chain of Fools Aretha Franklin Your browser does not support the audio tag. Come To Me Aretha Franklin Your browser does not support the audio tag. I Never Loved A Man Aretha Franklin Your browser does not support the audio tag. I Say A Little Prayer Aretha Franklin Your browser does not support the audio tag. I'm In Love Aretha Franklin Your browser does not support the audio tag. Jimmy Lee Aretha Franklin Your browser does not support the audio tag. Respect Aretha Franklin Your browser does not support the audio tag. Rock Steady Aretha Franklin Your browser does not support the audio tag. Soul Serenade Aretha Franklin Your browser does not support the audio tag. Think Aretha Franklin Your browser does not support the audio tag. United Together Aretha Franklin Your browser does not support the audio tag.